Several LARC members attended the Hudson Ham fest Saturday. On arrival the temperature was 41 degrees, and it took it's time warming up. There were deals to be found, and some did very well at their treasure hunts. Small but interesting. Peggy N4PEG. 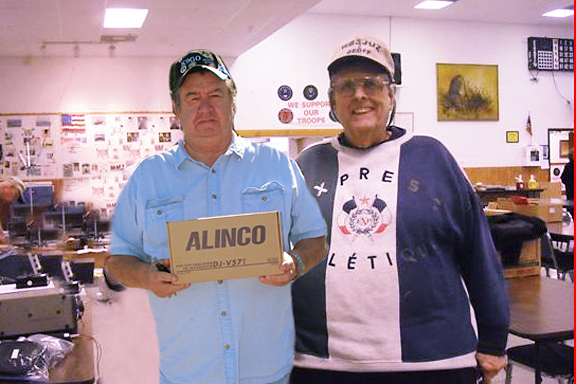 Two club treasure hunters who made the trip were George and George. HAINES CITY - Robert P. Scott, of Haines City, Florida, passed away on March 9, 2013 at the age of 87 due to cancer. Bob was born on March 15, 1925 at Royal, Illinois, the son of Virgil and Laura Scott and attended Ogden High School and graduated from the University of Illinois, where he obtained a Bachelors Degree in Electrical Engineering in 1950. He was a veteran of the U.S. Navy, serving in World War II. He was employed by CTS Corporation of Elkhart, Indiana for 30 years as an electrical engineer, Plant Manager and Senior Vice President of International Operations for the company. 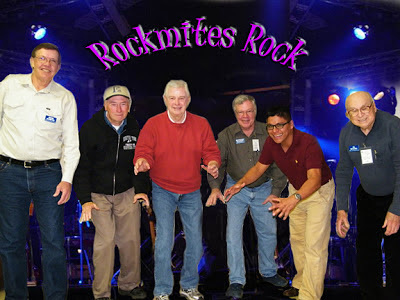 Bob led an active life with varied interests. He was an Amateur Radio Operator for over 60 years, as W9BCN, an instrument-rated pilot, a hunter, fisherman, sports enthusiast, bridge player and golfer. Golf was his passion and maintained a 12 or lower handicap into his late eighties. Bob was preceded in death by his parents, sister Elizabeth, and wife Jean. He is survived by his wife, Dolores (Williams) Scott, daughter Cheryl (Jim) Sharp, grandson Andrew Sharp of Elkhart, Indiana and Adam (Esther) Sharp and great grandson Samuel Sharp of Springdale, Ohio. Bob was a member of the First Methodist Church of Lake Alfred. A celebration of his life will be held at the First Methodist Church of Lake Alfred on Tuesday, March 12, 2013 at 11:00 am. Memorial donations may be made to Good Shepherd Hospice or the church. George Mann of Polk City has been reappointed by Gov. Rick Scott to the Southwest Florida Water Management District Governing Board. Mann was appointed in November to fill the unexpired term of former board member Neil Combee, who resigned last year to run for Florida House. His term, which is subject to confirmation by the Florida Senate, extends to March 1017. The unpaid Governing Board members set policy for the 16-county district, which includes most of Polk County. First Simplex 2013 Huge Success! From left to right Bob N4BVO, Mike KK4PFA, Kent KK4OGN ,Patrick KI4CDY, Roberto KK4PEZ, Al W4ZSC. Bob made Extra, Mike and Roberto Tech, and Kent General. Congratulations to all. As you can see from the picture, the meeting was well attended. Patrick made good use of the time by sharing plans for upcoming events including the "March for Babies," a picnic, “bring a friend month," a dinner meeting, and field day. Fred had some words to say about field day as well. Patrick asked how many would be interested in a Simplex Saturday event. 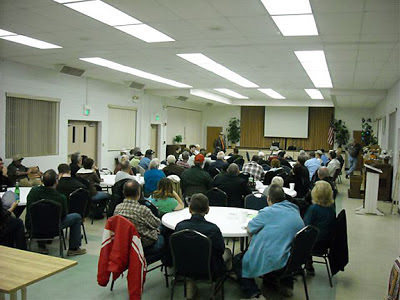 Several in the room responded positively and in fact there will be a Simplex event this Saturday, 3/9/2013. The time will be 1500 Hrs. local, frequency 147.47 MHZ. A great opportunity for some of us to try out those Yagi antennas we have been building. 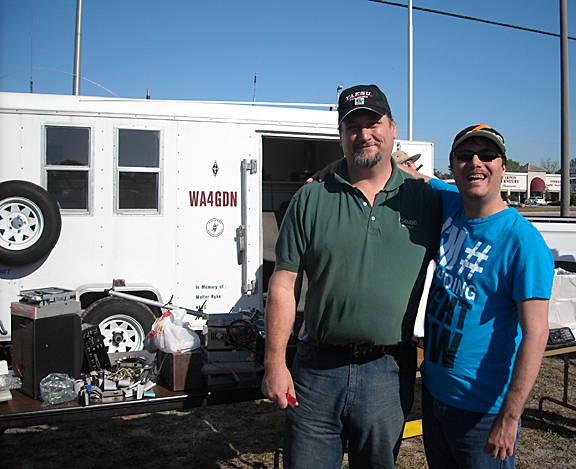 Last weekend there was a hamfest held in Zephyrhills which several of our club attended. 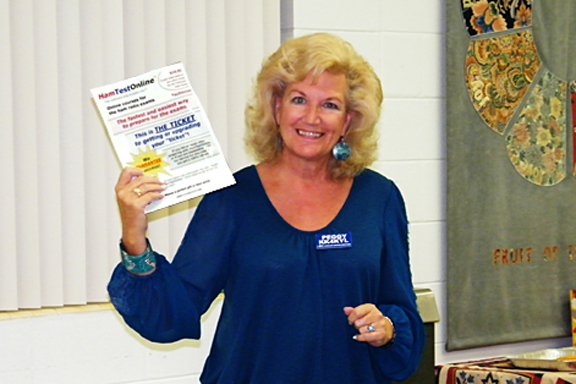 Peggy N4PEG won a Ham Test online subscription for the Technician license which she is donating to the club. Might be a nice door prize for “bring a friend” night. The grand prize winner was Jessie K9GTO. Jessie is a snow bird, and no stranger to the Tuesday morning breakfast get togethers. He is the proud owner of brand new HT. Congratulations Jessie!